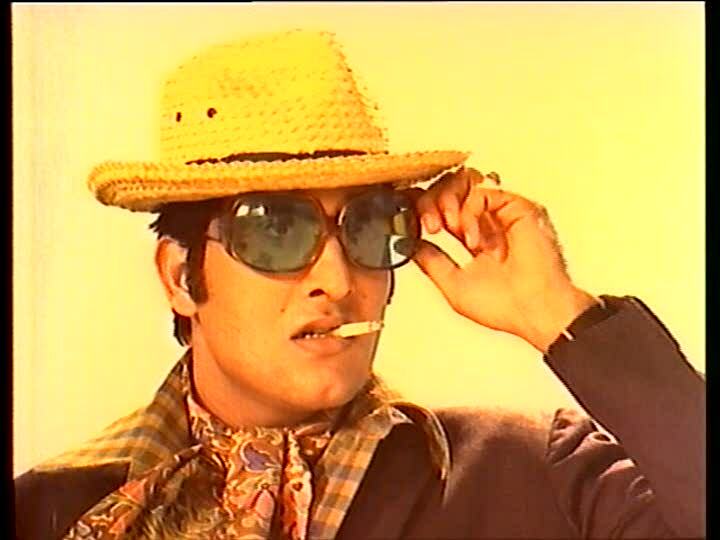 and his clothes are incredible. His desk drawer. And his character is introduced with gambling, smoking, and whoring with white prostitutes! Anil is so bad he doesn't care about his mother! !!! !!!!! 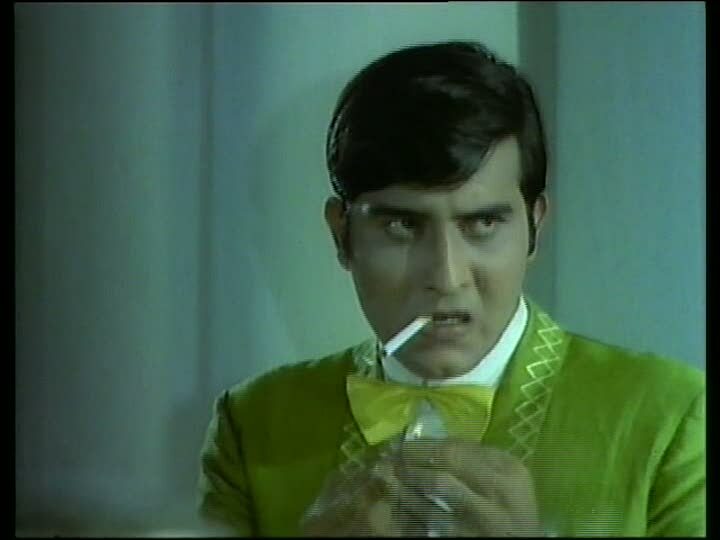 I'm not sure I've yet met a Hindi film character who proclaims he does not care if his mother lives or dies! This is interesting! Asha Parekh (Varsha/Dipali) is so adorable! What is it about this vintage of heroine that I love so much? I don't know beyond "stylish and funny and smart and not self-sacrificing, whimpering lame-brains," but I sure do eat them up with a spoon. 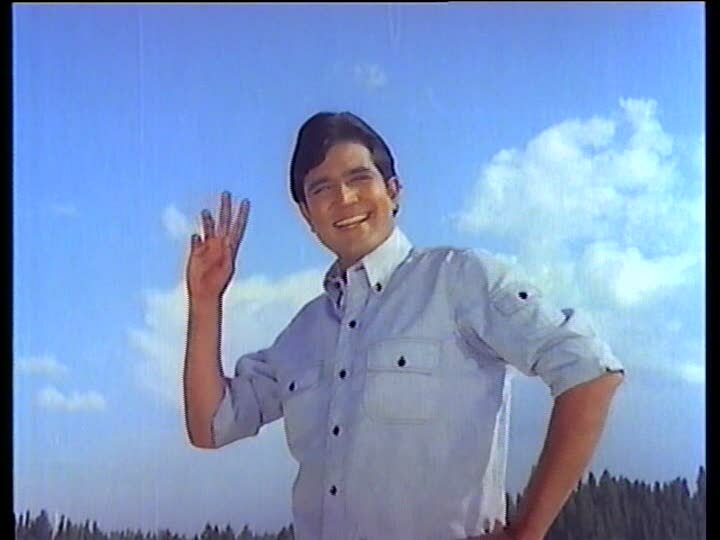 Rajesh Khanna (Ajit) sure is good. Saintly amounts of good. But, fortunately, not in a cardboard way. Ajit has a sense of humor and is even the teensiest bit saucy sometimes - and also, despite his angelic community-serving ways, seems to have very little ethical dilemma canoodling with a woman who is trying to pretend she is engaged to someone else. With an unsustainably bad villain - there were very few ways he might actually make it out of this film alive - and such an unflinchingly good hero, how was anything actually going to happen in this movie? The story was just progressing in parallel lines with no real room for interaction or entanglement - and thus very little conflict (of any kind) needed to keep momentum going. By interval things were shaping up to be simply very pretty, with some great songs (all of them, actually! ), but dull. But then! Oh boy, but then! 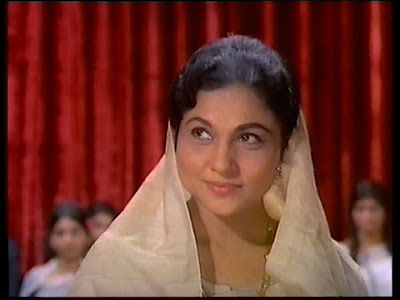 Enter Anil's maa, Savitri (Nirupa Roy, of course). She will blow. Your. Mind. 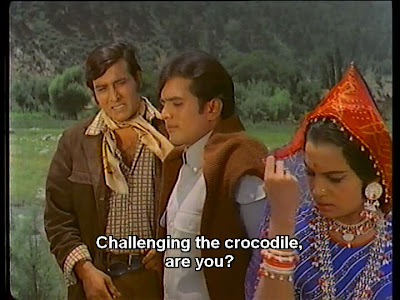 This is the most interesting character I've seen Nirupa Roy get to play, and she is simply wonderful! In turns angry and bitter, thawing and kind, dramatic and secretive, this was a complicated character and Nirupa nailed it. Savitri becomes the center of the drama that made the final third of the film unexpectedly compelling enough to keep me up past bedtime. Without giving anything away, here's a taste of the level of complication in Savitri's character: Nirupa Roy lies in court after swearing on the Gita to tell the truth. NIRUPA ROY LIES ON THE GITA. 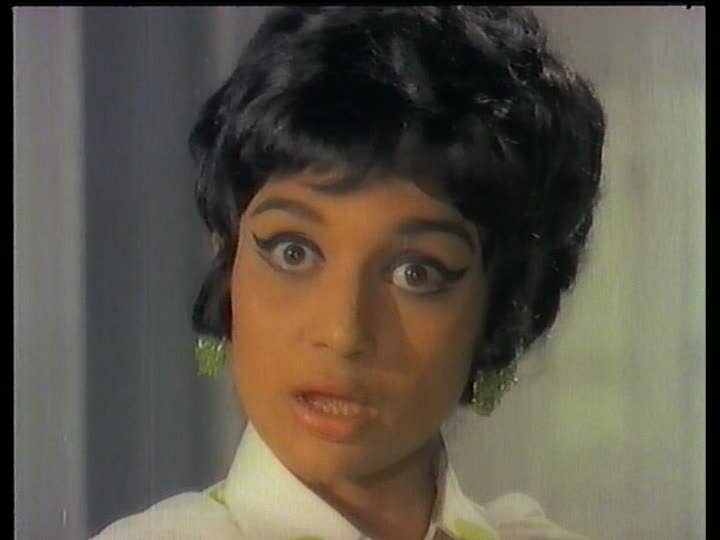 I can't put my finger on why the backstory that launches when Nirupa's secret is revealed had me so intrigued, but I really found the typical masala coincidences that spiral out from her flashback much more emotionally involving here than I usually do. 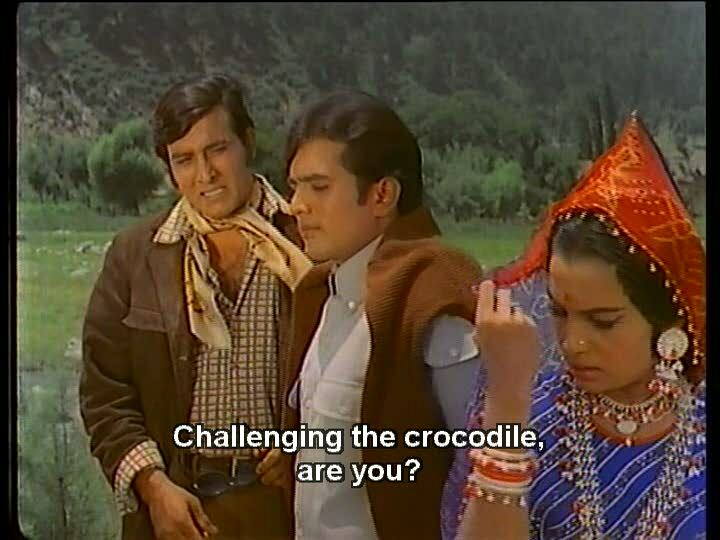 The characters all react in pleasingly sensible ways, even though some of the actual plot in the backstory is eye-rolling-ly filmi, and, with the possible exception of Anil's extreme moral decrepitude, everyone's quirks and relationships are explained and contextualized. It's all just so very satisfying, especially after an unengaging, but pleasant, beginning. 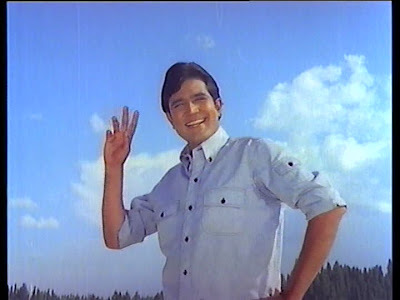 There isn't much else I can say about this film without ruining all the surprises or just gushing about Asha and Vinod's clothes, but just know that I would definitely rate it worth sitting through the slow start. The songs are wonderful, the performances good to great, and the filminess mostly in service of interesting, even exciting, ends. Head over to Bollywood Deewana's review for more details of the story and many more fabulous pictures! Oh! Oh, screenshot #1 pretty much ensures I need to watch this, but OH this movie sounds so intriguing. SO VERY INTRIGUING. 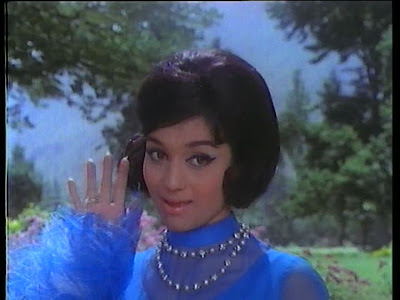 I did not have a strong impression of Asha Parekh one way or the other until I saw *Caravan*, and in that totally insubstantial role she completely sold me. She's very good and has a mastery of physical comedy. Definitely looking forward to seeing more. 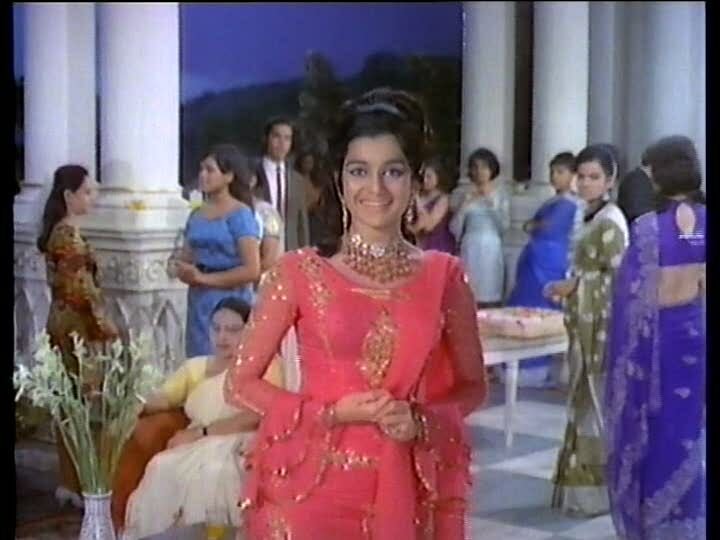 Well you know I love Asha AND Vinod AND Rajesh :) And of course Nirupa---I know you don't care for it much, but she was equally awesome in Deewar. I need to watch this again. I liked it, especially the pretty, but I remember finding the plot culmination kind of silly and the film generally a bit dull. You make me want to take it out again though. Beth, the blog header is awesome! 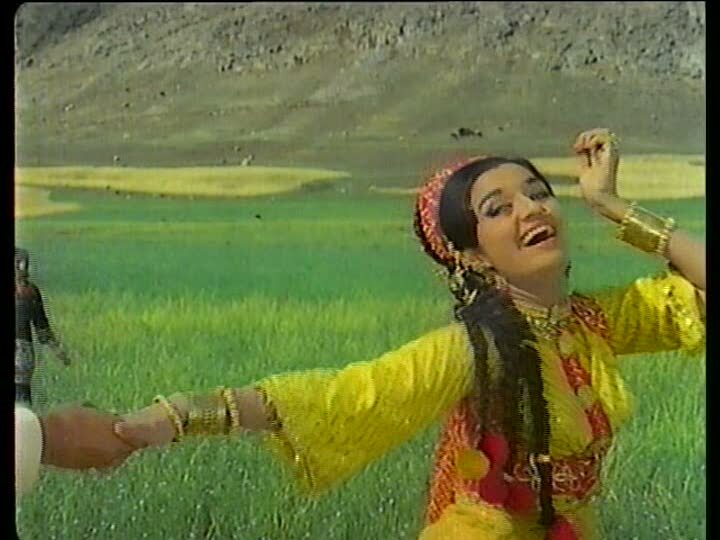 I have only seen songs from Aan Milo Sajna in various song DVDs - not the movie per se. I think this is one of those movies where you leave your brains behind and just enjoy the songs, scenary and some good actors like Asha, Vinod and RK. I think Indirani Mukherjee spends all the time crying - atleast in the movies i have seen. I must say that this is quite romantic film of my grand maa's time. I watched it 2-3 days before and enjoyed it very much. 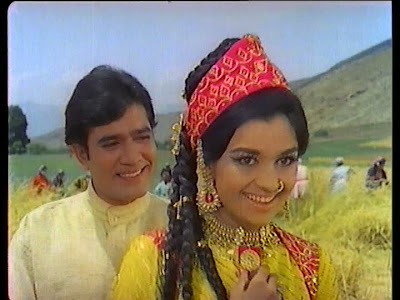 Aan Milo Sajana is a musical and classic movie of Super Star Rajesh Khanna of all times.